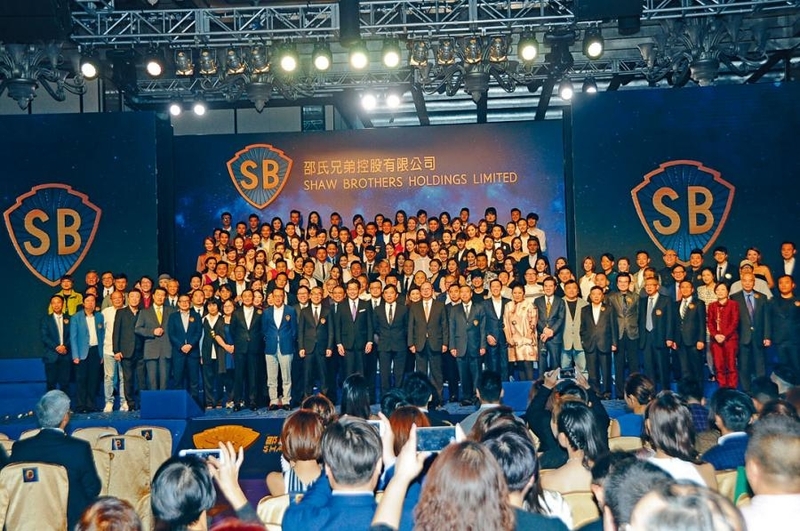 Shaw Brothers yesterday held a grand press conference to announce its future television and film business plans. 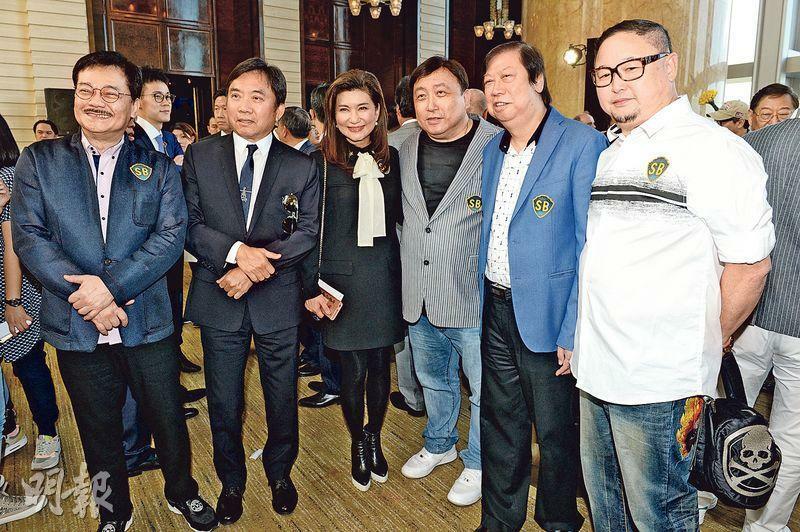 Chief Li Ruigang said that Shaw Brothers is a snapshot of Hong Kong film traditions and a cradle for Hong Kong performing art and creative talent. In the future it will work tightly with Chinese culture and TVB to innovate, break through and explore the global Chinese film market. 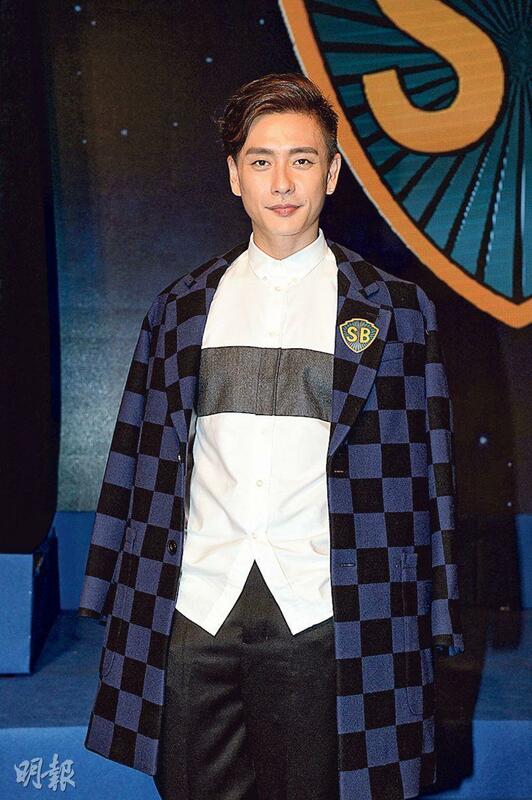 TVB also sent over 100 artists like Ruco Chan Jin Pang, Nancy Wu Ting Yan, Bobby Auyeung Chun Wa, Bosco Wong Chung Chak, Eliza Sam and Samantha Ko Hoi Ning to attend. The Shaw Brothers upcoming film releases will be the Stephen Fung Tak Lun directed, Andy Lau Tak Wa, Shu Qi, Zhang Jingchu and Jean Reno starred THE ADVENTURERS; based on Japanese playwright Tsukuda Norihkio's work, the Louis Koo Tin Lok and Francis Ng Chun Yu starred SHED SKIN PAPA (TUEN PEI BA BA); and the still in production, Li Bingbing and Jason Statham starred disaster film MEG. Other projects will include a DRAGON INN prequel, a LINE WALKER movie, the Huang Xiaoming starred CITY HUNTER and GAU SHOOK NGAI CHING (RESCUE DANGEROUS LOVE). It will also remake the 1996 Auyeung Chun Wa starred classic television series MONEY JUST CAN'T BUY (TIN GONG CHOI SUN) and the Hong Kong Special Duties Unit themed FEI FU GIK JIN (FLYING TIGER EXTREME BATTLE). Aside from live action films, Shaw Brothers will also make animated films to released with Mainland partners the 4K, 3D animated Louis Cha classic LEGEND OF CONDOR HEROES (SEH DIU YING HUNG JUEN). 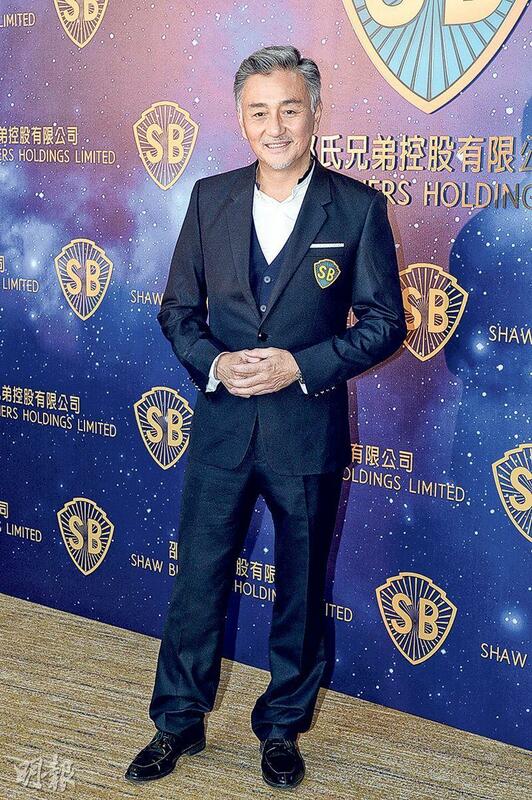 Shaw Brothers executive director, TVB (artist management and development) assistant chief manager Elaine Lok Yi Ling said that aside from the announced projects, other projects due to confidentiality agreements could not be announced yet. The projects have already been scheduled until 2018 and 2019. The soonest to start production will b films DRAGON INN and the internet series FEI FU GIK JIN. She said, "Although the salary of actors with box office guarantee isn't cheap, our productions have a set story and cast first before budgeting the production cost. MEG alone already cost over 1 billion." 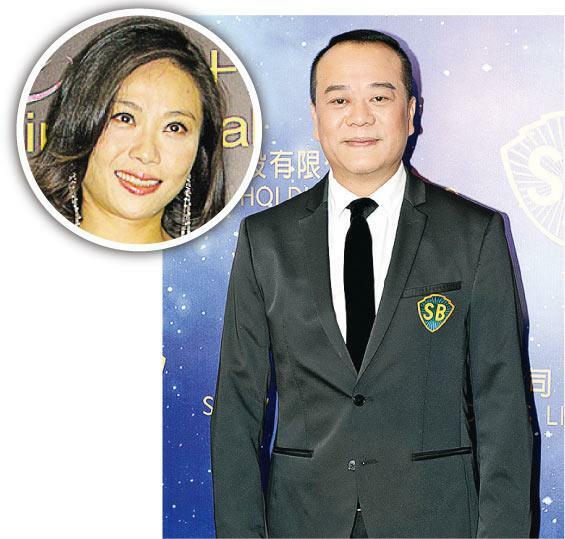 As for actors, Ms. Lok admitted that TVB artists will have first choice. Ultimately Shaw Brothers and TVB are family, but it will not affect TVB series productions. Will Ms. Mona Fong Yat Wa completely retire? Ms. Lok said, "Ms. Fong has been in semi retirement for awhile, she is still a member of the TVB board of directors. TVB is Shaw's primary shareholder. Shaw is the fruit of Sir Shaw's labor. Now we have the responsibility to carry on the tradition. We will work hard to make this name plate shine." Auyeung Chun Wa's 1996 MONEY JUST CAN'T BUY will be remade. He admitted that he still remembered the experience. "I of course remember the story because this was the first series that I played the lead in. Actually during the shoot I didn't know I was the lead actor. I thought that I only played a fairy. This series also broke me into the Mainland market and introduced me to even more viewers." Bobby did not mind the remake into either film or internet series, as it was rare for people to still remember this series after so many years. Would he like to work with the original team? He said, "We have to bring back Dr. Chan (Marianne Chan Miu Ying). I know that she still likes to act, let me ask her right away to see if now she would mind working with me." The internet drama FEI FU GIK JIN's star Wong Chung Chak revealed that the series will not start production until the middle of next year. He said that he finally was able to fulfill his dream of playing a SDU member. "I have played a dog trainer, plain clothes cop and bodyguard, this time I finally get to play SDU. I am ready for mentally and physically. It will be 30 episodes and shoot abroad." Reportedly the new mother Linda Chung Ka Yun will return to Hong Kong next week. Friend Sam Lai Heung said that she has already planned to meet with Ka Yun. For now she did not know whether she will bring the baby alone. Will she become the baby's god mother? She said, "I want to, many people want to be the god mother. The baby is very cute and looks just like Papa." Chan Jin Pang and Wu Ting Yan would not mind playing a couple in a Shaw Brothers film, as long as the company can schedule it they definitely will participate. Jin Pang admired Carol Cheng Yui Ling's "Cheng Nine Sets" nickname and joked that he only had to appear on three sets when he just came out of the training class. "Back then after I just graduated I stood still, then I went to the studio next door to put on a wig, then the next one to be beheaded. None had any line. Now it's much better." Ting Yan also said that she at most had to be on two sets. She remembered when she worked on VIRTUES OF HARMONY II she played two characters and no one realized it. Ko Hoi Ning and Kate Tsui Tsz Shan were rumored to be TVB chief Dr. Chan Kwok Keung's favorites. Yesterday they finally shared the stage during the group photo. Ko Hoi Ning earlier issued a statement to clarify that she did not receive any special treatment. She said, "That magazine has already written about me many times. I have to defend my professionalism, so I issued a statement." Would seeing the boss be awkward for her? She said, "No, because it's very fake. The magazine has wronged me for 4 or 5 years." Did her boyfriend mind very much? She stressed that she did not have any boyfriend, only she minded a lot. As for her rumored boyfriend, Ko Hoi Ning hoped that everyone would give her some space. She said that she was not young anymore, and dating could not be more normal. Tsui Tsz Shan has been working mostly in the Mainland in recent years. She said that she was not used to speaking Putongua and hoped to be able to rid herself of the habit of mixing Chinese with English. Did any "Young Fresh Meat" catch her eyes in the Mainland? She said, "'Young Fresh Meat' isn't right for me, I haven't seen any either. Actually I rarely saw any guy, and I don't like to be with anyone in the business."